Throughout the week, I’m writing a series of posts about buying gear. As we near the end of the semester with graduations and holidays approaching, the number of questions I get from students about putting together a kit skyrockets. I have always held that you put your money into glass. In the film era, there were two ways to improve the technical quality of your images (beyond your skill set): better film and better glass. About six years ago, I transitioned from Nikon to Canon gear. It was a decision of convenience and politics, not because I think one system is significantly better than the other. On a shelf at the other end of my office sit some of my old Nikon cameras and lenses – two of those lenses I purchased, used, in 1989; the third, used as well, I acquired in 1993. They still work just fine. Today, with the rapid advancement and relative fragility of camera bodies, I still think you should put your money into glass. While you may not need to update your camera bodies every few ears, you probably will. The pace of advancement may be slowing, just a touch, but it’s still the camera that has a greater effect on image quality – and you will always want, but not need, the best image quality. Put your money in glass. There are two characteristics when it comes to lenses that we usually talk about: focal length and speed. Focal length is delineated in millimeters and is the first thing most people mention when talking about lenses. The “standard” lens on 35 mm (or, to be more current, full frame) cameras is a 50 mm lens. The phrase “standard” comes from measuring the diagonal of a frame and using that to determine the “standard” point of view. It’s a little arbitrary, but it gives you a good jumping off point. Focal lengths with a lower number than 50 mm (35 mm, 28 mm, 24 mm, etc.) are generally considered to be wide angle lenses. (This assumes we’re dealing with full frame sensors. As the sensors get smaller, the normal field of view requires a lower focal length lens. Smartphone cameras, for instance, have very small sensors and have a normal focal length around 4 mm.) As the focal length decreases, the field of view increases – you see a wider area in front of you. Above 50 mm, we move into what is known as the telephoto range where the images is magnified by the arrangement of elements within the lens. We could go deep here, but let’s just accept that a camera “lens” is usually made up of many individual glass elements designed to bend light in different ways. When talking about focal length lenses, we break all lenses down into two categories: prime or zoom. A prime lenses is also known as a fixed focal length lens, meaning it has one magnification power. Prime lenses can be wide, normal or telephoto. Zoom lenses have the ability to rearrange the elements within it to vary the focal length of the lens. These are now, by far, the most common types of lenses out there. If you shop around online, you’ll usually see cameras sold as either body-only or in kit form – those kit lenses (which we’ll talk about a little later) are invariable zoom lenses, usually going from the wide angle end of the range to a short telephoto. The most common kit zoom now is a 18-55 mm. Adjacent to the millimeter rating of a lens is another odd number and it’s displayed in two ways. Some lenses will show you a 1:2.8, others may show f/2.8. In both cases, that is describing the maximum aperture of the lens. Apertures control how much light a lens can transmit to the sensor. Apertures you must remember are ratios, hence the colon or slash in the designation. A wider opening, which will appear to be a smaller number, will allow you to shoot in lower light situations and give you a shallower depth of field (depth of field being the second thing apertures control). So, a lens with a maximum aperture of f/2.8 (or 1:2.8) will allow more light through it than one with a maximum aperture of f/5.6 (or 1:5.6). Aside: Aperture numbers are fairly bizarre. On older lenses, you would see full stop markings (stops being the descriptor for doubling or halving the amount of light) that would run from f/2.8, say, through f/4.0, f/5.6, f/8.0, f/11, f/16, f/22. Newer lenses use either one half or one third stop intervals, giving you much more precise control. Prime lenses will always have one maximum aperture denoted on it. Some of the better zoom lenses will, as well, but some will show a variable aperture on it. That standard 18-55 mm kit lens will show a 1:3.5-5.6 next to the focal length markings, for instance. What that means is that at the wide end of the zoom range, the maximum aperture if f/3.5. But as you zoom in, changing the magnifying power of the lens, that maximum opening gets smaller and allows less light to pass through to the sensor. Does this matter? Well, if you will only be shooting in bright sun, then it doesn’t matter very much. Except that it does limit your ability to control depth of field. Another characteristic of lenses, though, is that they are not at their optical best performance when shot at maximum aperture. Closing down the aperture by about one stop on most lenses will radically improve the sharpness of a lens. So, if you’re zoomed in all the way with that kit lens and you want to improve the optical performance of the lens by stopping down, you need to shoot at f/8.0. Does that make a big difference? Well, if you were shooting the same scene with the same camera with a fixed 50 mm lens that had a maximum aperture of f/1.8 (the most common 50 mm out there now), stopping it down would bring you to about f/2.8. Which is three stops brighter than than f/8.0. And if you are doubling the amount of light every time you open up one stop, that means you need eight times as much light to shoot at f/8.0 as compared to f/2.8. That’s a lot of light. If you’re looking at zoom lenses you will see two distinct ranges – those with variable maximum apertures and those with fixed maximum apertures. You will also note a pretty big price swing. For instance, Nikon has two telephoto zoom lenses in their lineup right now – a 55-200 mm f/4-5.6 and a 70-200 mm f/2.8 lens. How big is the price gap? The variable aperture lens costs $246, the fixed aperture lens is $2,400. Almost ten times the cost. Aside: Both of the lenses also include Nikon’s Vibration Reduction system, similar to Canon’s Image Stabilization. These systems work to counteract motion from the camera allowing you to shoot at lower shutter speeds. These systems Do Not help overcome subject motion so don’t really help in sports situations. Some of the kit lenses will have plastic lens mounts – not very durable and subject to flexing. Many will have all plastic construction – again not very durable. While not all of the higher end lenses will have weather and dust sealing, they will fair much better in the field and are designed to take years of use (not abuse, never admit to abusing your gear). Another area the lower lenses will have problems is with the front element group – over time, these tend to loosen up which will cause sharpness issues. Not always, but it’s common enough to watch out for. Nikon and Canon mark their highest quality lenses with a special code – for Nikon, it’s ED and you’ll see a gold ring on the lens; for Canon, it’s L and you’ll see a red ring on the lens. That’s their way of saying those lenses are the best they make. That’s not to say non-ED or non-L lens won’t work, but those lenses usually have the highest build quality and additional coatings to improve the performance of the optics. 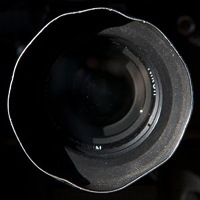 There are aftermarket lenses out there, as well – lenses made by independent manufacturers that work with the main brands of cameras. (I should note that Canon and Nikon have different lens mounts so you can’t use one brand of lens on the other brand’s camera.) Tamron, Tokina and Sigma are the big ones here, and some folks will talk about Carl Zeiss lenses, too, but they tend to be atmospherically priced. Some of these lenses are very good, but they have the same durability issues as the lower end lenses from Nikon or Canon. Shop carefully. Aside: I recently got a chance to see some of the newest Sigma lens and was very impressed with the build quality. Sigma for years was an after-thought, but the new lenses look very, very well built. I was shocked when I hefted one a few weeks ago. This is not a paid endorsement and I haven’t shot with any yet, but I hope to soon. A Short Zoom: Depending on whether I was full frame or crop sensor, this would be either a 24-70 mm f/2.8 or a 16-35 mm f/2.8, the latter being wider for the smaller sensor. A Long Zoom: Regardless of sensor size, the 70-200 mm f/2.8 lens is the workhorse of news photography. I’d spring for a VR or IS version as I tend to work in lower light situations. A Fast Prime: The 50 mm f/1.4 lens for both Canon and Nikon is an excellent portrait lens and let’s me work with one quarter as much light. A Super Telephoto: Sports and Courts were my specialties when I was a wire service shooter, and my 300 mm f/2.8 was the lens of choice. If I was doing more college and pro sports, I’d go a little longer to a 400 mm f/2.8, but that’s a big price jump. That kit, with two cameras, would cover 95% of what I shoot. But if I were to specialize in something else, say lit portraits, then I might step down on the maximum apertures a bit. Canon makes a very nice 24-104 f/4.0 lens that is excellent for portraits; Nikon has a 24-120mm f/4.0 lens, as well. There are some specialty lenses you may need, too. A macro lens will let you do extreme closeup work; a fisheye lens will let you get some cool special effects – but be careful and don’t use effects as a crutch for content. The key is to know what you’ll be shooting and to do your research. If you buy cheap gear, it will wear out fast and fail when you need it most. Which is every time you go to use it. You will not last long in this business if your response to not getting an image was that your gear failed. Editors and clients don’t care – they hired you to produce an image. If you don’t produce it, you’re not going to get hired again.